NSW Farmers Goulburn Branch Chair Margaret Cameron says the rising cost of fodder is hitting local farmers as drought conditions worsen across NSW. Photos: Supplied. 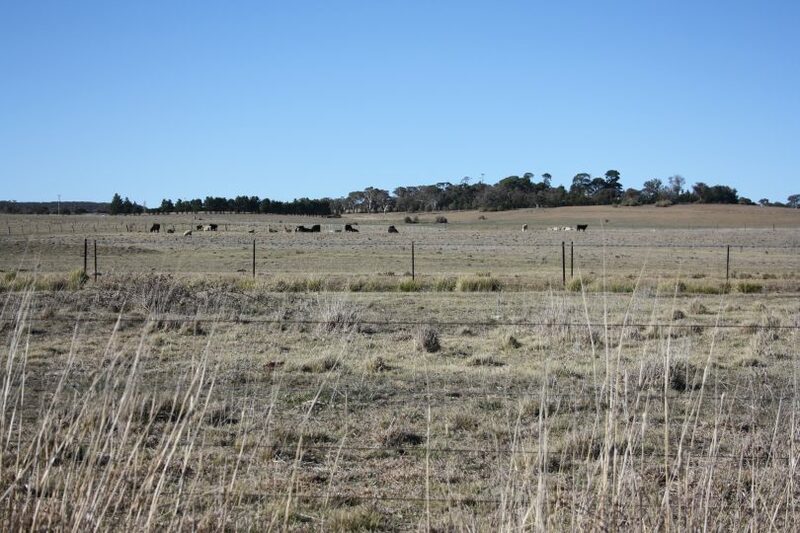 The drought is starting to bite in the Goulburn Mulwaree region and forecasts for the coming months offer little respite, with warmer temperatures and drier than average conditions predicted. And while other parts of NSW are certainly doing it tougher, the rising cost of fodder – and its scarcity – is triggering local farmers to de-stock. 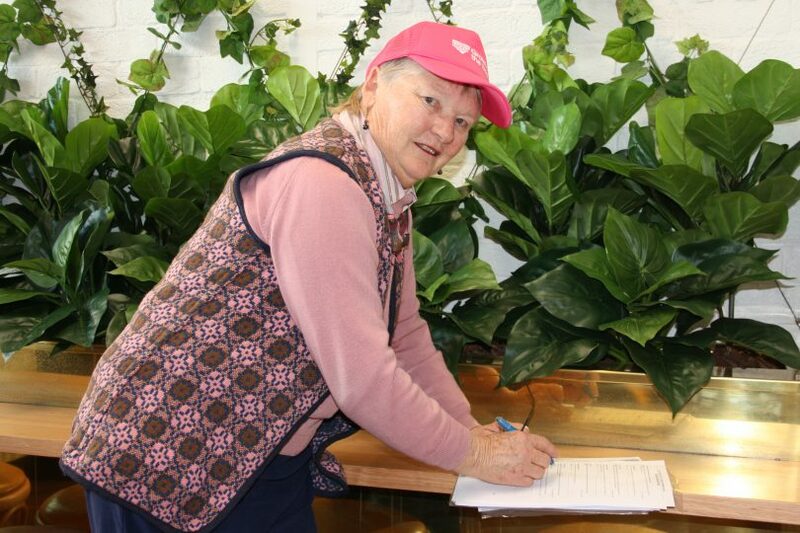 “We’ve had some rain here and some properties have managed to get winter feed in but a lot of people have had to de-stock, particularly to maintain their breeding stock,” NSW Farmers Goulburn Branch Chair Margaret Cameron said. While winter is normally a time when stock feed might be supplemented, few opportunities to grow feed because of low rainfall last season has meant that local farmers are trucking in fodder, and from great distances, due to demand outstripping supply statewide. “The impact of drought has meant that farmers have had to source fodder from other states such as Victoria and, in some cases, the cost of the freight is higher than the cost of the fodder,” Margaret said. Migration of Eastern Grey Kangaroos from harder hit areas of the state is also adding to the challenges of maintaining feed for stock. Rain is needed now in front of the Spring growing season, though dry conditions are forecast through to September. Meanwhile, rural crime is adding to the financial impost of drought, costing the NSW farmers millions of dollars each year. One of the biggest issues in the Goulburn Mulwaree region is under-reporting. However, notifying police when theft occurs can help bring offenders to justice. “Even if it seems unimportant, report it because it can help build up a pattern of theft,” Margaret said. “Stock theft on the larger properties is a problem, as well as theft of farm equipment from chainsaws, quad bikes, fuel, wool and breeding stock. Unlicensed shooters trespassing on absentee landowner property is another issue for parts of the Goulburn Mulwaree region, particularly for ‘weekend farmers’ who may not live on the property full-time. Unauthorised entry to properties also has biosecurity impacts. However, there are steps that can help protect livestock and farm equipment. “Video surveillance and increased signage are two ways farmers can protect their properties,” Margaret said. NSW Farmers has been at the forefront of pushing for stronger stock theft and trespass legislation, making several key submissions to the 2016 NSW Bradshaw Review of rural crime. The peak farmer’s lobbying group was frustrated with poor police responses to reporting, a lack of progress in investigations and prosecutions, and weak penalties for rural crime. Following the Bradshaw Review, the NSW Government introduced the Rural Crime Legislation Amendment Bill 2017 which was passed late last year. Reforms arising from the new legislation include tougher trespass offences and greater powers for police and the courts to impose penalties. Along with the reforms, dedicated rural crime investigators were established in key areas of the state, including Goulburn, Monaro and the Far South Coast, in the hopes that specialised officers would not only investigate rural crime but prevent it from happening. The NSW Farmers’ Association held its annual conference yesterday in Sydney. Among the motions tabled by the Goulburn branch were road safety and signage, the cost burden on farmers of international climate change accords and increased research into Johnes Disease to identify the factors that make host animals more susceptible to the disease.